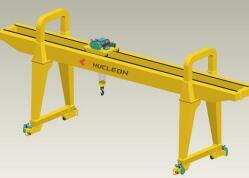 Nucleon Electric Hoist 5ton for Electric Hoist Bridge Crane offered by reputable manufacturers i.e. 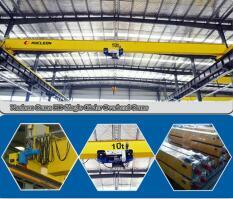 Nucleon Cranes is made by using the high quality brands. Where they use a trademark like Siemens for Hoist Bridge crane duty motors, Schneider for electrical separate parts, respectively. 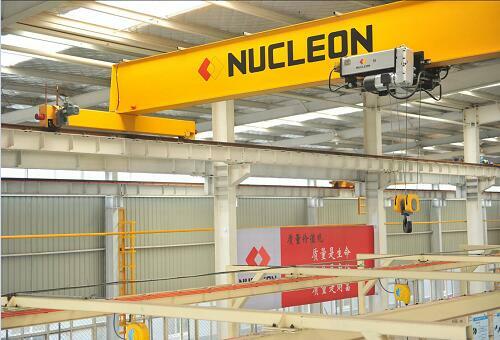 When it comes to quantity, Nucleon Bridge Cranes has the ability to offer up to 20t capacity wire rope hoists or as per the requirement of our customers. Industries use these electric wire rope hoists along with electric trolley for Single Girder Overhead cranes or another alternative like a fixed suspension type for applications involving goods lifting. Some of the characteristics of these electric wire rope hoists include high lift speed as well as slow speed with variable voltage frequency drive. 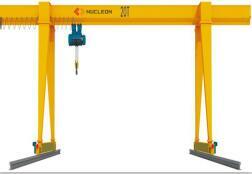 The goods designed by Nucleon Cranes vary from one and another in regards with specifications. Nevertheless, they are created in such a way by Nucleon Hoist Bridge Cranes, that the equipment deliver unparalleled performance. 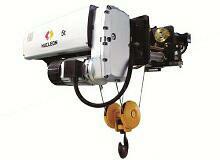 Among other alternatives, Nucleon Hoist Bridge Cranes even offer flame-proof duty electric wire rope hoists. 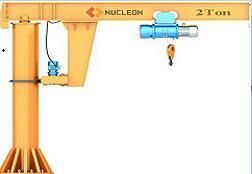 Nucleon Cranes always offer these products with CMRI approved electrical items such as pendant panel, brake and motor. 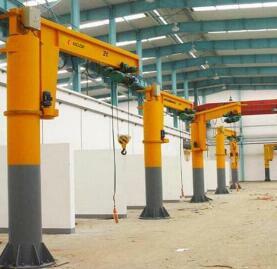 One of the best aspects of these hoists is that they can be used for any type of industry work. 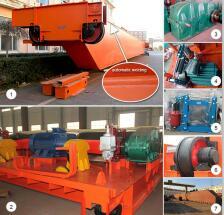 The producers guarantee durability and top performance to all customers. Even the prices charged on them are marginal as compared to others. 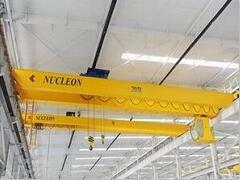 By combining quality products with reasonable pricing, Nucleon Cranes delivers customer satisfaction. 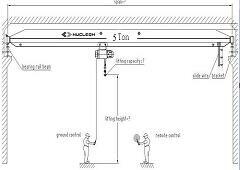 The electric wire rope hoist can be designed as per the job application, usage (medium/heavy duty), required lift/hoisting speed/ cross travel speed. The travel path (straight or curved) etc. 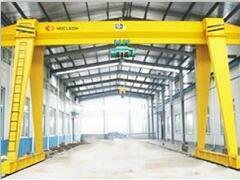 Nucleon Cranes also offers electric wire rope hoist with a monorail structure.